Our new first year music students found themselves submerged in the magical discovery of the gamelan during their first week at College. Workshops took place throughout the first week of term, uniting students from our diverse music courses, bringing them together to explore the traditional percussive instruments of Java, Indonesia. 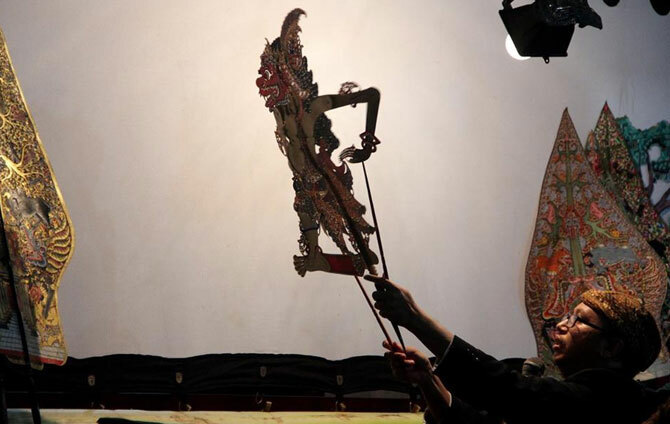 Their new experience culminated in a concert in the College foyer, Javanese Shadow Play, that was open to everyone. Students and visitors brought cushions to sit closely around the gamelan and its players for a mesmirizing evening of music, storytelling and puppetry. The event formed part of the celebrations of 20 years of the gamelan in Cardiff, working in partnership with St David’s Hall who lent the College the special instruments for the sessions.